John and Jacklyn's Blog: Talk About A Tummy Tuck! Talk About A Tummy Tuck! 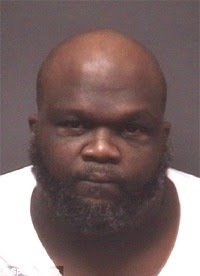 Cops in Greenville, North Carolina, say a 315-pound drug suspect hid a cache of narcotics in his....belly button! A month-long investigation into a heroin-selling operation culminated in a May 29 traffic stop for Randall Streeter and his passenger Marshall Wayne Wilson. Streeter, from whom undercover officers had allegedly bought heroin in the past, was found to have secreted 40 bags of heroin, crack, and Percocet pills in his navel, according to the cops. Additionally, agents allegedly found 150 bags of heroin and $1,200 in Streeter's vehicle. Both Streeter and his passenger Wilson were slapped with numerous heroin trafficking charges. Obviously, he had an "inny" and not an "outie"! Sometimes Random Stupid Stuff Is Just fun! We Men Knew It All Along!